French President Emmanuel Macron on Wednesday met with American singer Rihanna in her capacity as founder of an education and health advocacy group. The American singer founded the Clara Lionel Foundation (CLF) in 2012, a nonprofit organization that supports fund scholarship projects and health programs around the globe. Rihanna was greeted by Macron's wife Brigitte at the Elysee Palace. 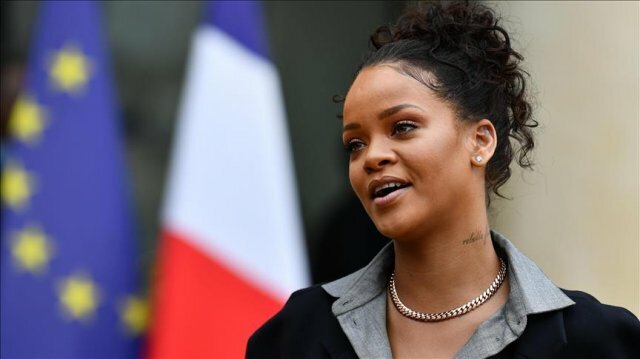 "I just had the most incredible meeting with the president of France and First Lady," Rihanna told journalists outside the Elysee palace in Paris after the meeting. "We focused on the topic of education from global aspects, and we will make a very big announcement this coming September," she said. "I was so inspired and impressed with his leadership. I can’t wait to see where this is going to go, but I think this is the year for education,” added Rihanna. The meeting comes after the pop star called on Macron on Twitter in June to contribute to her fund. “Bonjour @Emmanuel Macron, will France commit to #FundEducation?” tweeted the star, who also messaged the leaders of Germany, Argentina and Canada. Rihanna's Twitter account has nearly 70 million followers. She was named by Harvard, Humanitarian of the Year.